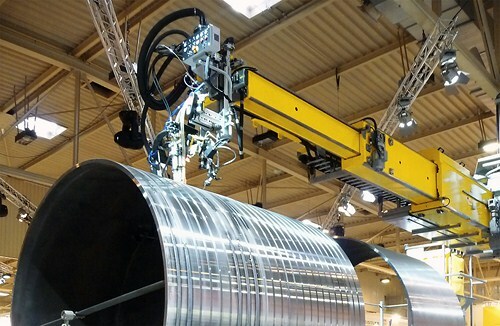 Telbo™ is a giant innovative step towards highly productive automatic welding. Saving valuable workshop space by means of the unique 3-section telescope-like retraction of the boom and securing the safety of operator. Outstanding reach-out with heavy loading capacity to ensure superior productivity and weld quality. Telbo is ideal for internal/external circumferential welding of windtower applications.